I have spent over 25 years in the wine trade. In that time I have done most things, managing wine shops, selling to the trade, hotels and restaurants, buying, marketing and a great deal of tasting. 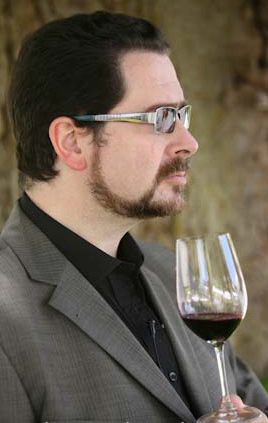 I have been a wine educator since 1995 and love showing people what exciting and varied wine there is in this world. Even after all this time I get a thrill from introducing people to new and exciting wines as well as finding new audiences for my jokes and stories. I am a regular judge at the Concours Mondial de Bruxelles wine competition, a member of The Association of Wine Educators, a member of The Circle of Wine Writers, a member of the Federation International de Journalistes en Vin (FIJEV) and a Wine & Spirit Education Trust Recommended Tutor and hold the Wine & Sprit Education Trust Certificate and Higher Certificate with Distinction as well as both parts of the Diploma. I can give consumers and members of the trade a good, solid grounding in basic working wine knowledge. This allows them, in turn to give good advice and often leads to them having a life long love affair with wine. Most of my students return for more advanced courses and tastings, so developing their knowledge and understanding. Thank you very much. We may have chance to join a judging somewhere sometime. Great and informative wine site. Well done. May I reference your map showing Bierzo in my wine blog about that subject? unwindwine.blogspot.com? We just returned from a canal barge trip in Burgundy. I love the map you show of the Irancy area. It depicts many of the places we visited. Do you know where I can purchase that map? Just come across your excellent blog. I’m English qualified as an Italian sommelier (AIS) and degustatore (Wine Taster) living and running a hotel in Champoluc, Aosta Valley. Should you ever be in the area, mail me, I’d love to introduce you to this little known but spectacularly scenic mountain wine area, producing excellent wines from almost unknown indigenous grapes.